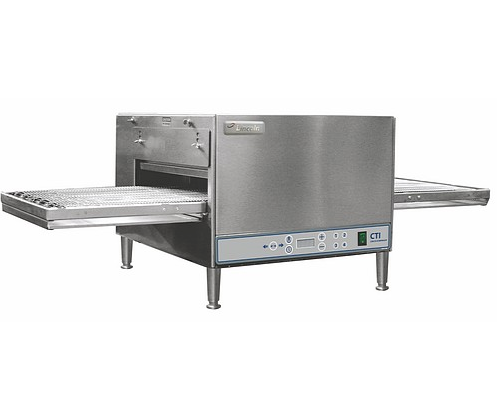 The Lincoln CTI digital countertop impinger conveyor oven combines the latest in digital controls with consistent countertop conveyor cooking. The oven features an LED display to view baking time and temperature as well as four programmable settings to different food items like pizza and sandwiches. The Lincoln CTI comes in four different sizes. The smallest, which is featured in the video, has a 16-inch conveyor belt and 21-inch cooking chamber. Lastly, Lincoln does manufacture a ventless CTI model for operations that require ventless cooking. For more on the Lincoln CTI, click here.